fuboTV is a content streaming service that offers 80 channels focused mostly on live sports, including NFL, NBA, Major League Baseball, Major League Soccer, most major European soccer leagues, PGA Tour golf, and college sports. It can be viewed on TV via Apple TV, Roku, Amazon Fire TV, Android TV, and Chromecast, and on iOS and Android mobile devices. 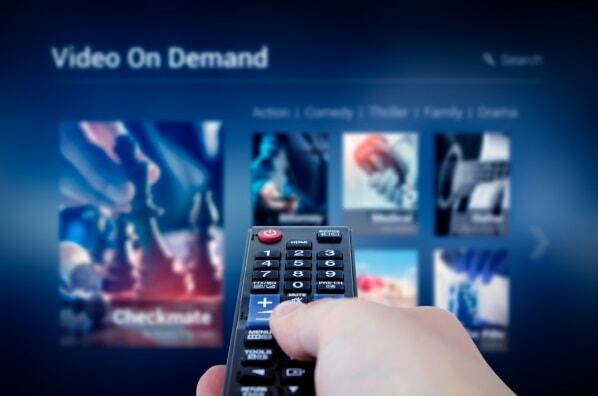 Although its main focus is sports, it also offers a range of news and entertainment channels, including Fox, CBS, NBC, The Travel Channel, Viceland, and E—making it a legitimate competitor to other content streaming services. Can I Watch fuboTV Outside the US? To date, only people located in the United States or Canada can watch fubo Premier, fubo Latino, or fubo Portugues. However, there is a way around this: a VPN service, or virtual private network. No matter where you are in the world, simply log on to a VPN server in the US or Canada and sign up or log in to your fuboTV account to start streaming live sports and entertainment. There are 2 steps to setting up a VPN for fuboTV: the first is setting up your VPN, and the second is setting up your fuboTV subscription. Sign up for a subscription or free trial with your chosen VPN provider. Install the provider’s VPN app on the device you’ll be using to access fuboTV (i.e. Windows, Mac, Android, iOS, etc.) or browser extension if you prefer to stream through your computer (fuboTV recommends using Chrome). Follow the app’s set-up instructions for your chosen device. Connect to a VPN server in the United States or Canada. Most VPN providers offer hundreds of servers in different locations throughout the U.S. and Canada—select one. Now that you’re connected to a server in the U.S. or Canada, you can access fuboTV. If you’re already a subscriber, simply log in to your account and start streaming through your preferred casting or mobile device. Fubo Premier, with 80 channels, costs $19.99 for the first month and $44.99 for each month thereafter. Fubo Latino costs $17.99 per month after a free 7-day trial. Fubo Portugues costs $19.99 per month after a free 7-day trial. Subscribers can add a selection of other channels at additional cost. Using a Smart DNS proxy is another way to unblock and access streaming services. A Smart DNS redirects the part of your connection that reveals the user’s location to the content provider, thus enabling users to access a service such as fuboTV from regions where it is blocked. To use a Smart DNS proxy to access fuboTV, simply sign up for a Smart DNS service that includes fuboTV in its list of unblocked channels. ExpressVPN​ is among the best VPNs for fuboTV, with super-quick servers in 33 locations throughout the U.S. and Canada. ExpressVPN promises 99.9% uptime, ensuring you can watch big sports events without being interrupted. It also offers 24/7 live chat support to help you through any issues. NordVPN offers possibly the highest number of servers of any VPN provider in the U.S. and Canada, with more than 1,850 in total spread throughout the 2 countries. This means it’s able to meet its commitment of providing high-speed streaming via each of its North American servers. Another benefit is it can be used on up to 6 devices at one time, meaning you can stream different fuboTV channels on different devices simultaneously—even if you’re not in the U.S.
CyberGhost​ is a top VPN for sports streaming, offering its customers super quick speeds and the ability to connect to fuboTV or any other content streaming with a single click. In the CyberGhost client or app, simply go to “Unblock Streaming” or “Secured Streaming,” then choose the streaming service you wish to access or add your own (such as fuboTV) to the list. ZenMate promises super-fast connections through American and Canadian servers, making it easy to stream and enjoy fuboTV from anywhere in the world. It guarantees unlimited bandwidth, 99.9% uptime and strong security features, including a no-logging policy and AES 128 security protocol. HideMyAss​ is a great VPN solution for customers who want to access fuboTV and live sports with high speeds. HMA offers high-speed streaming via more than 200 servers in the U.S. and Canada, and it also has a built-in speed-testing tool so you can check up on just how fast it works. If privacy is a concern, be aware that HMA logs your IP address (but not your browsing history). Ensuring the VPN client is configured to the correct network settings. You should be able to find information about the correct settings through your VPN provider’s website. If in doubt, contact your VPN provider. The best VPNs provide 24/7 customer service assistance via live chat or phone call. Subscribers to fubo Premium get access to 85 channels and counting, including those listed in the following table. These channels broadcast almost any sports event you can think of, including NFL, NBA and Major League baseball playoffs, FIFA World Cup, UEFA Champions League , La Liga, Bundesliga, the Olympics and Winter Olympics, US PGA and Masters, and more. fuboTV started out as a soccer streaming startup, and it will stay true to its roots in June-July 2018 by streaming every match of the 2018 FIFA World Cup live and uninterrupted. To get access, simply sign up for fubo Premium. If you’re outside the U.S. and wish to use fuboTV to watch the World Cup, just log on to a VPN server in the United States before opening your fuboTV app.